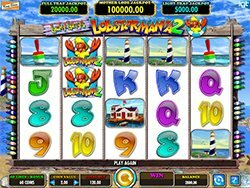 When it comes to Vegas slots online, there are none more famous than Lobstermania because of its fun nature, great features, charismatic protagonist Lucky Larry fisherman and the evasive lobster, and familiarity to regular land-based casino goers. 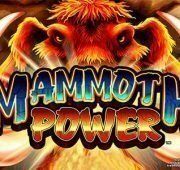 So what could be better than playing one of your favorite Vegas slots in the casino? 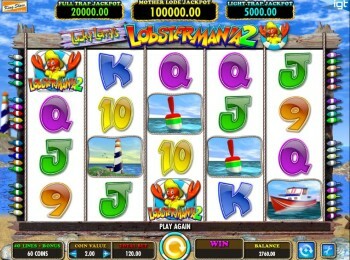 Well playing a newly reinvented version of it online in the awesome and incomparable Lobstermania 2 slot machine from IGT! Hop aboard Lucky Larry’s Lobster boat and be whisked away on a lobster fishing adventure of the Atlantic shores in Maine, Australia or Brazil. 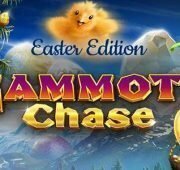 The game is 5-reels and 40-paylines with a ton of great bonus rounds and features. 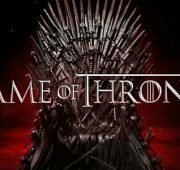 This new version of the game stays true to the original musical score and graphics but the icons and casing have a new modern flair. One look and you can see how much more refined this version is. 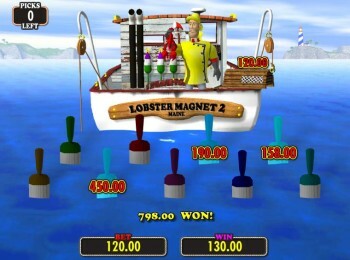 The slot background is a familiar scene against the ocean’s coastal shores while symbols on the reels are also familiar with the Lobstermania 2 logo, another two logo’s but with a shrimp that come in both orange and blue, a fishing boat, a buoy, a lighthouse, a captain’s house, and card symbols from 8 through King. Lucky Lobster Wilds – There are two wilds in this game and they are the Lobstermania 2 logos depicted with a shrimp. One has a green background while the other is a purple/blue. 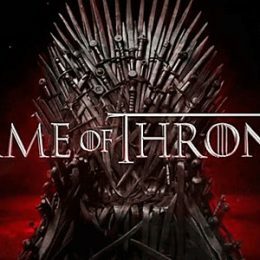 The green will substitute for all other symbols except the Lobster Logo icon while the other adds the green background shrimp logo to the list of exceptions. Jackpot Scatter Wins – On each spin, JACKPOT may appear over any symbol except the Lobster Logo symbol. 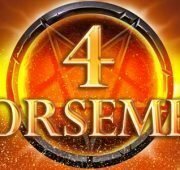 3, 4 or 5 Jackpots in any position on the reels substitute for their respective symbols but pay a Jackpot win if appearing on 3 or more consecutive reels on any spin. Hitting 5 of them will net you the Mother Load jackpot of 50,000! Multiplier Feature – During the Multiplier feature, if a symbol containing 5x appears in a line win, the pay for that win is multiplied by 5. If a symbol containing 3x appears in a line win, that win is multiplied by 3. 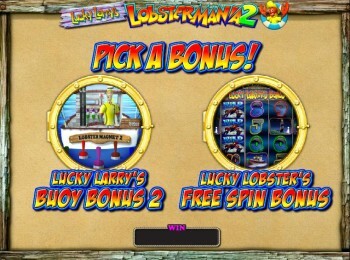 Bonus Games – When you land 3 Lobstermania 2 logos with the lobster in the rainjacket, you’ll trigger a bonus round. 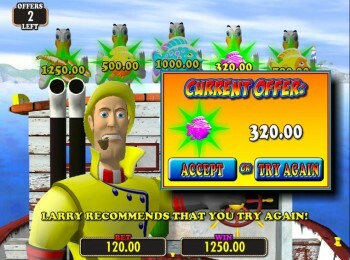 You’ll get a choice of playing either the Lucky Larry’s Buoy Bonus 2 or the Lucky Lobster’s Free Spins Bonus. Read below for more information on both. Buoy Bonus – Picker bonuses award 40x to 95x the coin value before transitioning to the picked stage. In the buoy stage, you’ll get to pick whether to fish for lobster in Brazil, Australia or Maine. If you manage to find the Golden Lobster in your expedition, you’ll earn an additional pick me bonus round and depending on location it will be either the Octopus, Kangaroo or Pelican Pick Me. 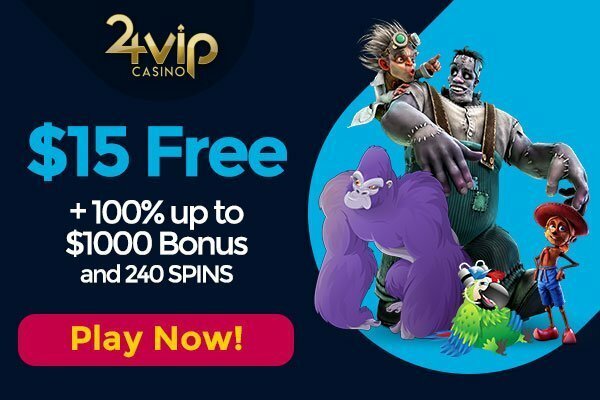 Free Spins Bonus – If you opt for the free spins after triggering the Bonus features, you’ll be awarded with 5 Free Spins. 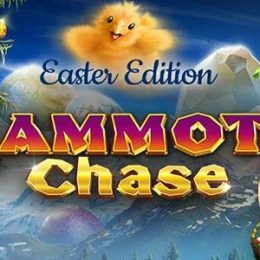 There are some awesome wilds in this round and best of all, free spins can be retriggered meaning you can keep the free spins a’coming! If you love the original Lobstermania game, you can play that at Slotorama too! 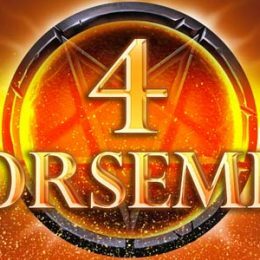 Choose your bet size and number of line to play and then Spin to Win!